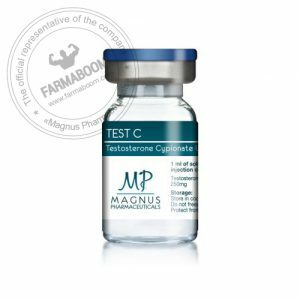 TESTOSTERONE CYPIONATE is an oil based solution for IM injection designed to release testosterone slowly from the injection site. Testosterone serum concentrations remain elevated for 7-10 days after IM administration. Testosterone cypionate 250 is suitable for the treatment of hypogonadism and other disorders related to androgen deficiency. 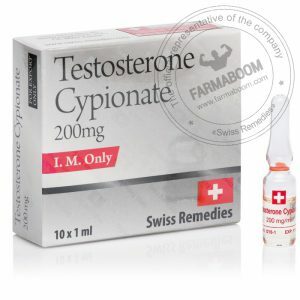 Testosterone cypionate 250 has both anabolic and androgenic effects. Testosterone supplementation has been demonstrated to increase strength and growth of new muscle tissue, frequently with increases in libido. CAS number 58-20-8. Dosation: 2500mg/10ml. The package has been changed. It has a high risk of side effects due to its conversion to DHT and has the potential to form estrogen, causing gynecomastia. These characteristics also cause it to have such excellent mass building tendencies. Due to some other side effects, such as water retention, it may not be the best used alone for lean mass gains, but with bulking comes the addition of a lot of muscle as well as some gains in fat and water weight. This is typical and a natural part of the enhanced bodybuilder’s bulking regiment. Testosterone cypionate is a long acting, single ester testosterone product. It has a length of 8 carbons, and is stored mostly in the adipose tissue when injected intra-muscularly. It is slowly and steadily released in the body after it is injected. The blood levels of cypionate peak 24-48 hours after injection and then decline slowly. The blood levels reach a steady point 12 days after initial injection and stay there for over three weeks. Cypionate is normally injected once a week, which makes the very lowest dose higher than half the peak dose at any given time. Any testosterone, as the king of mass builders, are cost effective products and important for any steroid stack. Used alone, the user can expect to see some significant gains. The long acting nature of cypionate allows the user to inject less frequently while maintaining stable blood levels. Testosterone cypionate is a good choice for the first time steroid user. A simple cycle consisting of 500 mg of cypionate weekly for 10 weeks, with ancillaries on hand, and standard post cycle therapy makes a good first cycle and can create some excellent gains in muscle mass. Along with those gains will come some gains in fat as well as water rentention, but that is a standard part of bulking up and should be expected. Enanthate or cypionate are also normally preferred over sustanon for a first cycle, due to the inability to maintain stable blood levels of sustanon while at the same time minimizing injection frequency. For maximum efficiency, every day or every other day injections of sustanon are normally administered. This is unnecessary while using cypionate due to its extreme length of action. 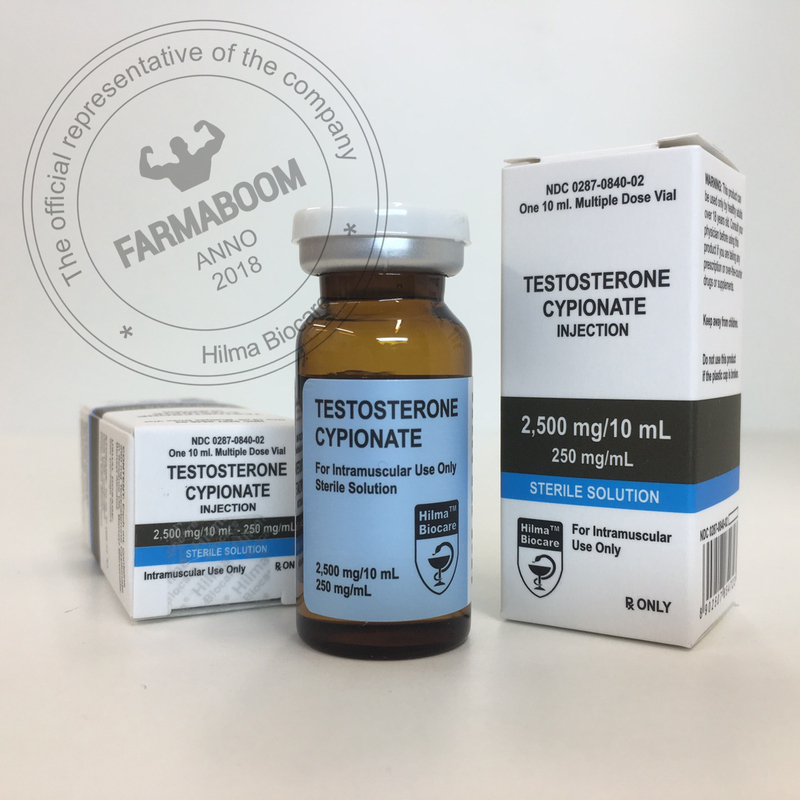 A long acting testosterone ester will be very helpful for your bulking needs, and cypionate is a product which is more simple than some of the other steroids out there. Not to say it is without its share of complications, but it’s a good choice, especially for those new to enhanced bodybuilding. Discontinuing the product is not an option in case side effects occur, because it will continue to aggravate these side effects over extended periods of time due to the long length of action of this steroid. Ancillary drugs such as nolvadex, proviron, clomid and HCG may help, both during cycle and post cycle to help restore natural testosterone production. Testosterone cypionate does aromatize slightly more than sustanon, but when using either drug, one should be familiar with anti-estrogens such as nolvadex or clomid and use one of them when symptoms of gyno occur. Any form of testosterone will be longer acting and at times difficult to control. Having ancillary drugs on hand is considered very important due to the possibility of side effects. However, these potential side effect risks do not come without a benefit – and that benefit is that testosterone is the most powerful mass builder there is and stacks well with just about anything. The added benefit of cypionate is that the long acting ester only requires a single weekly injection to elicit great gains. This makes cypionate especially attractive for the first time user, who will likely have no prior experience with self administrations of intra-muscular agents and will want to minimize those injections. Cypionate can be stacked with compounds other than these ones, but the user should assess his or her goals and decide which steroids and going to bring about what types of gains. For mass, testosterone is excellent choice, and more testosterone should be preferred over stacking with other compounds for that express purpose. To minimize water retention, certain steroids may be preferred and this is a good decision, since more testosterone cannot reduce these water gains (and in fact may only cause them to become worse). This is one example of how stacking cypionate (or any other testosterone) can be very beneficial. However, for the first time user, a recommended cycle is testosterone only, and cypionate is a good choice. Once again, due to its extreme length of action and ability to maintain stable steroid blood levels while minimizing injection frequency. The testosterone using athlete should be familiar with a variety of ancillary drugs in case estrogen related side effects such as gyno take place. Tamoxifen, Clomid, and HCG are items which you will likely want to keep on hand, either to use during your cycle, or for post cycle therapy.